I would call this Table Based Massive Multiplayer Online Strategy Game if it was up to me. 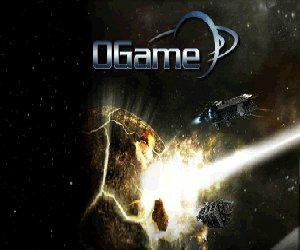 Sounds boring and in fact it may look like that but if you are fan of time based strategies i strongly recommend Ogame. Pick your universe go trough tutorial and imediatley you dont see tables any more, only galaxies planets, space ships and other space time goodies. Atraction of this game is its endless flexibility. For example you can be miner living on off trade, one can be scavenger or simply make some fleet and attack first neighbour. Investing in research and buildings pays off when you see your first cruiser, battleship, destroyer or even death star. In addition to this if one gets your fleet and crushes it on your planet you get chance that that material will form a moon and you get some special buildings on moons. Like jump gate for instant travel of falanx for monitoring your neighbours movement. This is in my opinion great move so that people who get burned have something of interest to keep playing. It is free an its fun. Go and try for yourself. anonymous: "is anyone still playing this, death stars and battle cruisers and all?"